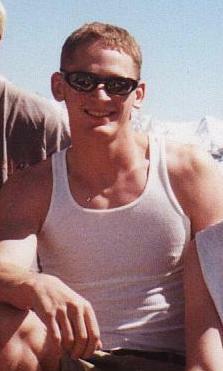 Hey, My name is Robert Jackson, I am 31 years old, Married(April 2004), working and living in Provo, Utah. I work as a Linux System Administrator. I have lived in Utah pretty much my whole life, except for about a year in the Seattle, Washinton area when I was 6. When I was 14, my family decided to move from my home town of Salt Lake City, to a small town of Nephi, population 3,000. I personally did not like this small town, but this is where I give my credit for the love of computers and cars. Nephi was a very boring place to live, so I had to do something to keep me busy. So, I began spending countless hours on a computer working up a national debt on long distance phone calls and Compuserve. This is how my computer experiences started. As for autos, it first started out with motorbikes, but as I reached the age of 16, I started looking at cars. My first car, well cars, were two 1979 Ford Fiesta's. My dad gave them to me and told me to get one running. I can't actually believe it, but with great luck and a miricale I did. I really didn't get into cars just yet, that is until I picked up a 1970 Toyota Landcruiser FJ40. My dad had a 71 and a 76 at the time, and so I saved up all summer and got one for $1000 running. This was back when you could find them for that much. Well, since then, I have owned somewhere around 80 vehicles, and always on the lookout for a good deal. I am also an adrenaline junkie. Anything I can do to cause an adrenaline rush, I will do it. I have picked up hobbies such as auto racing, extreme hiking, extreme skiing, Off-roading, sky-diving, and soon to pick up a few more.